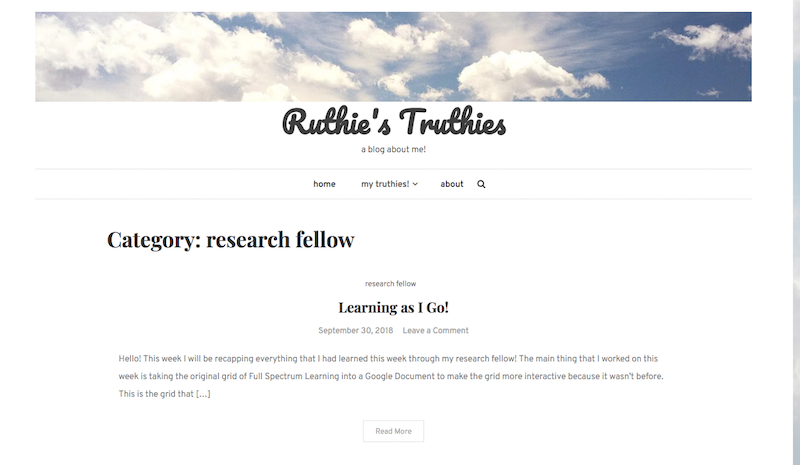 Ruthie is a first-year education major who has created a blog on her domain for keeping in touch with friends and family back home, chronicling her experiences as a Full Spectrum Learning Research Fellow, and for some course work in Educational Psychology. 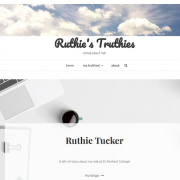 Ruthie has created different categories on her blog for sorting these different experiences. 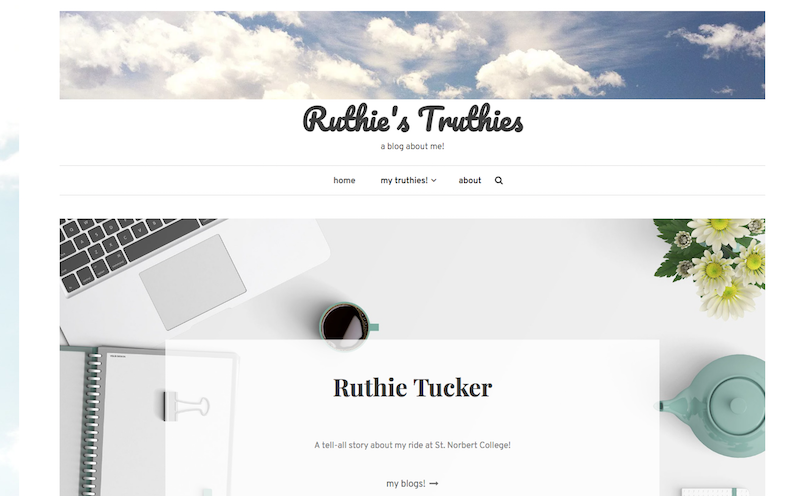 Here you can see screenshots, learn about some of the technical details of her site and read about Ruthie’s site in her own words. 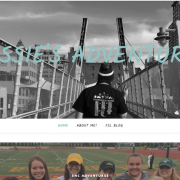 Cassie has a main domain for blogging about her college experience and a subdomain specifically for reflections on her work with Full Spectrum Learning. 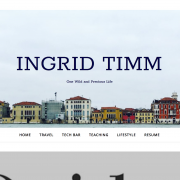 You can visit her main domain and her subdomain. 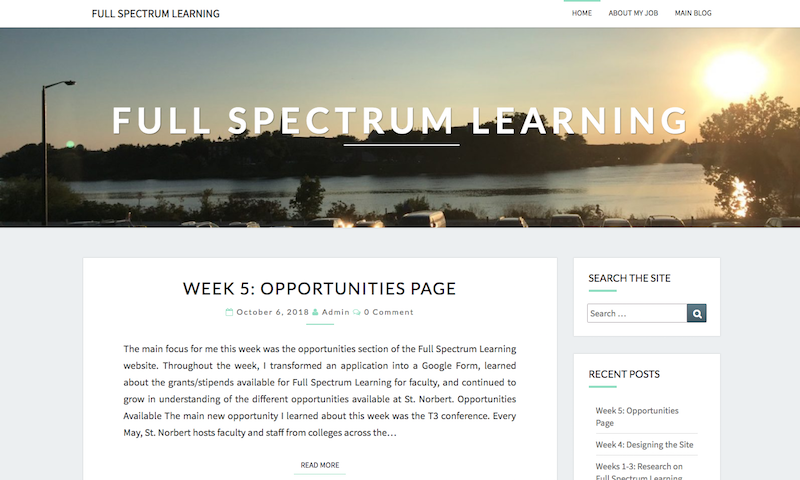 Also, her work encompases designing and maintaining the Full Spectrum Learning site. 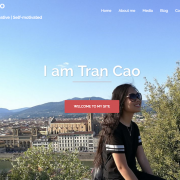 Tran Cao graduated from SNC at the end of 2017 but she was part of our pilot project through her work from our TechBar. 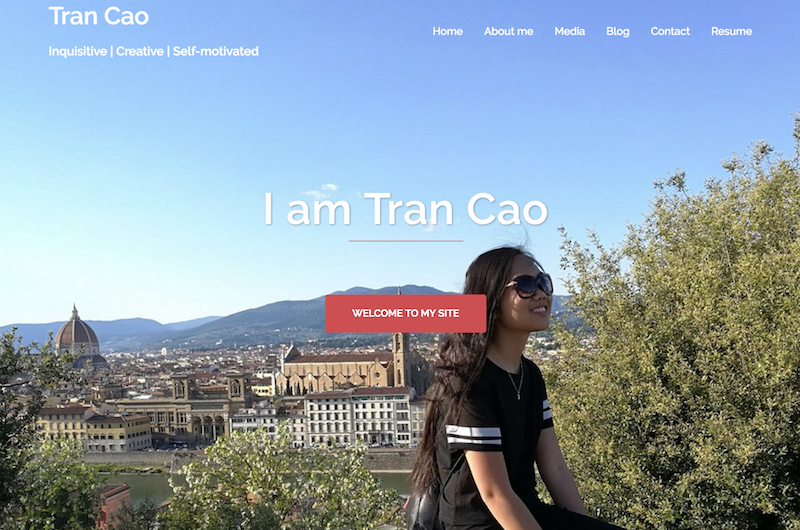 Tran’s site shows the best of a portfolio site that also has a blog componente. 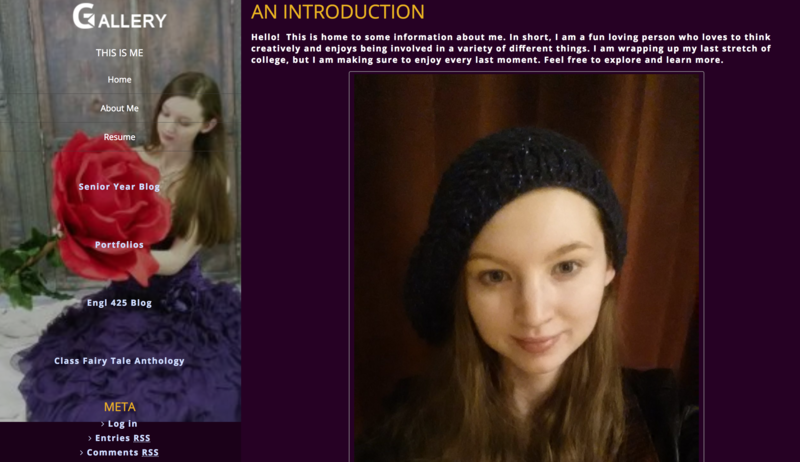 On this page you can learn about the technical details of her site, see screenshots of the site. 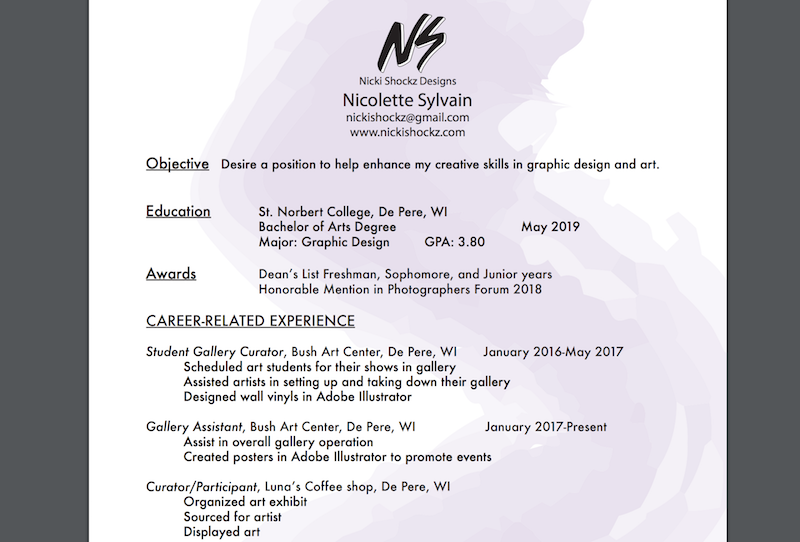 Nicki Sylvain is a senior art student who has been building a portfolio on her domain since we have been piloting the idea of Domain of One’s Own. 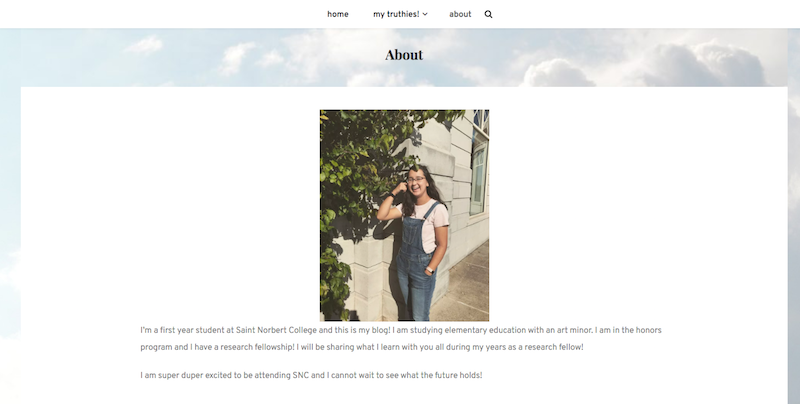 On this page you can learn about the technical details of her site, see screenshots of the site, and hear from Nicki about why her domain is important to her as she is preparing to graduate. 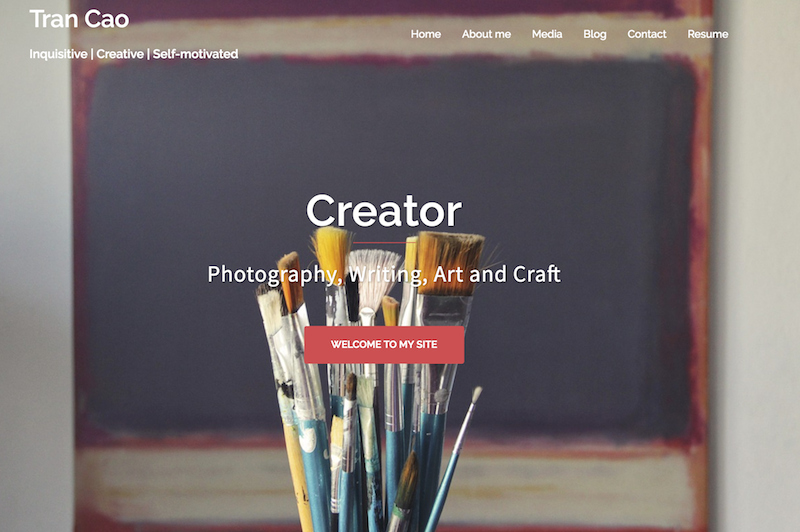 With my own domain, it is a way for me to have my own platform to show off my work to many different people. 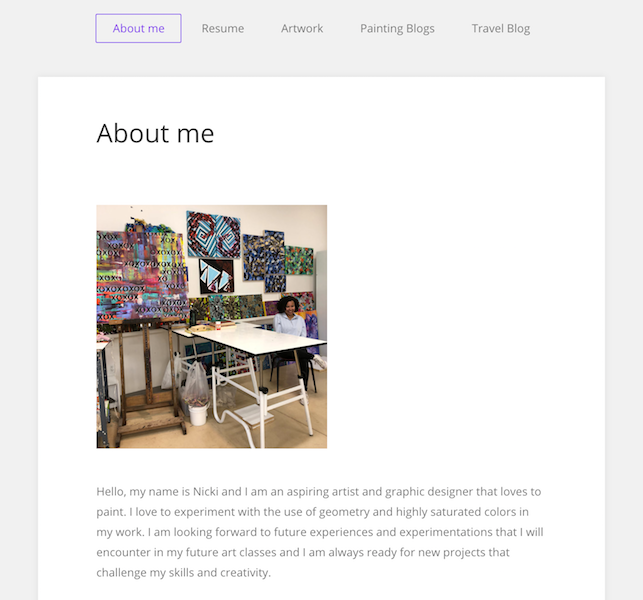 My website is a way for potential employers to see my work and get a better feel for my personality and style. 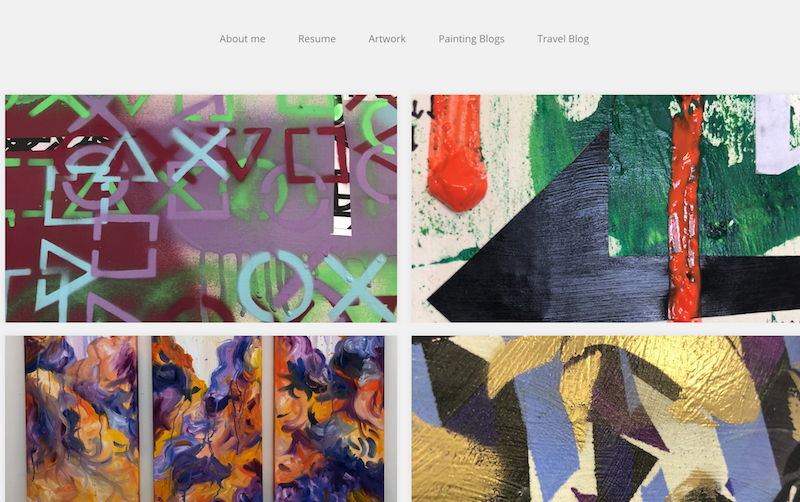 By having a website I have the freedom to show my work and make it my own special place on the internet. Knight Domains’ is not just for individuals. On some occasions a department or project may need its own domain. 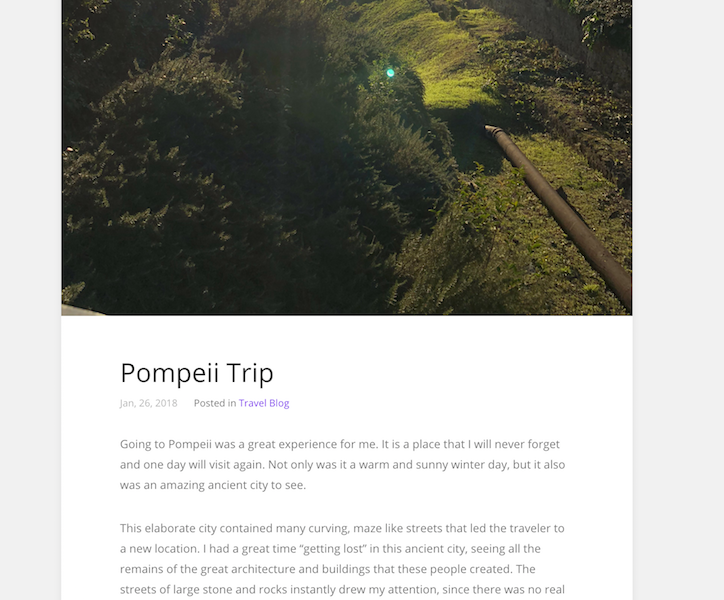 Here we have an example from the Art Department. 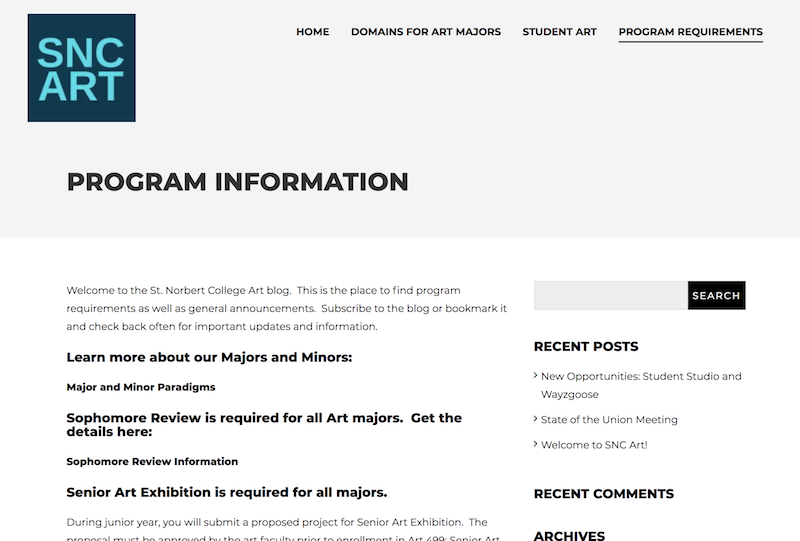 Art is requiring a domain for all of their majors so that they can set up a public portfolio of their work. 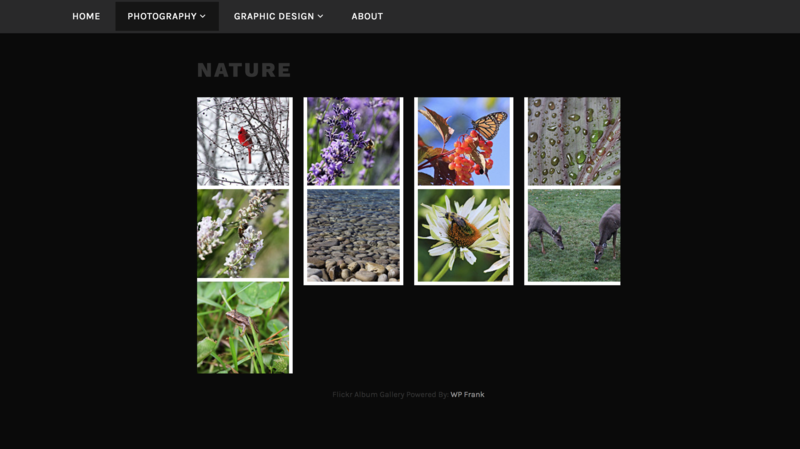 You can visit Art’s live site in another window. 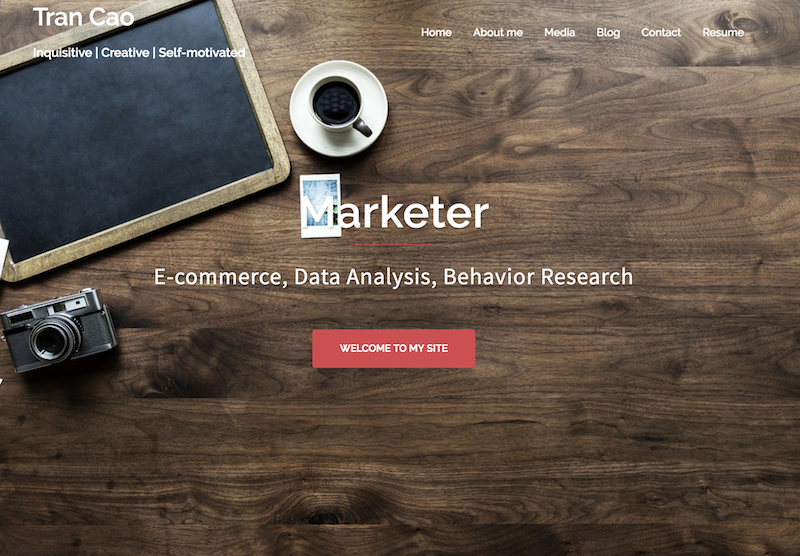 If you are part of a department, social group, or other collective and would like a domain for your group or project contact us for more information. 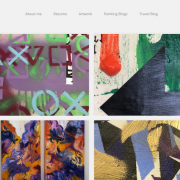 Art.Knight.Domains was created to model the process of working in the open. 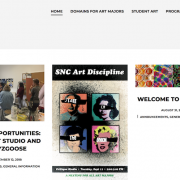 As it develops, we plan to post student work and hope it becomes a space where both current and prospective students can see what SNC Art students are making. 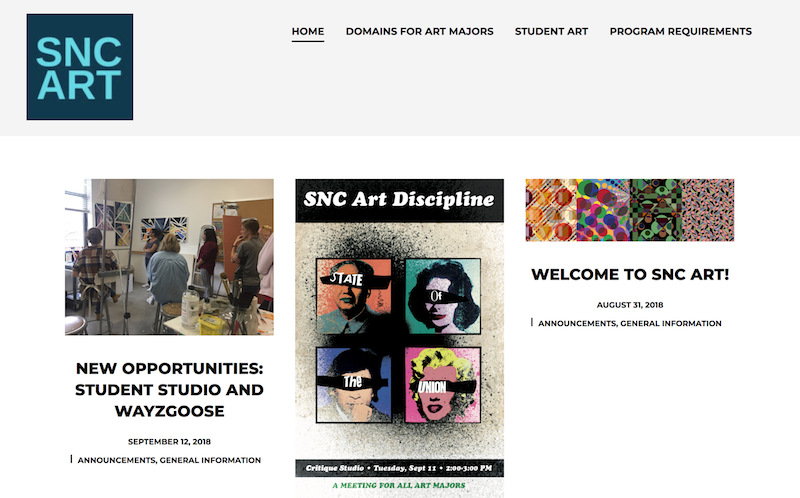 In practical terms, it makes sense to share information with students on the platform we are asking them to use and provides an easy way to link to the support resources for domain development offered by the college. 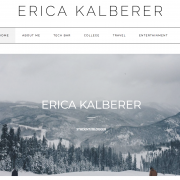 Natasha Igl’s example of a Knight Domain is a great illustration of a portfolio hub. 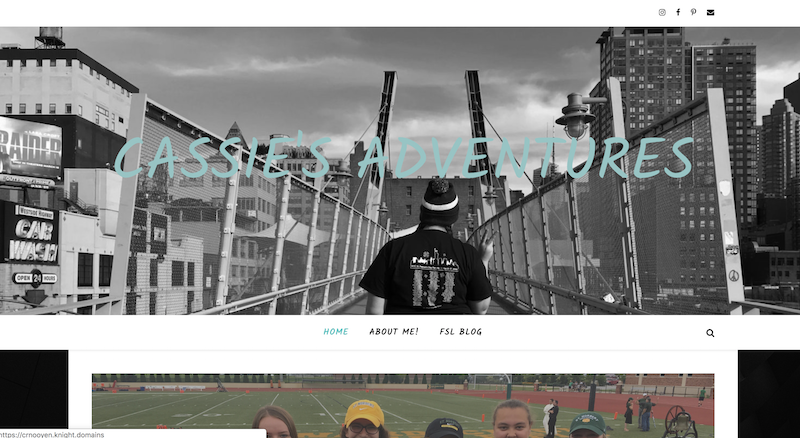 Natasha has been working on the web for some time while she has been at St. Norbert. 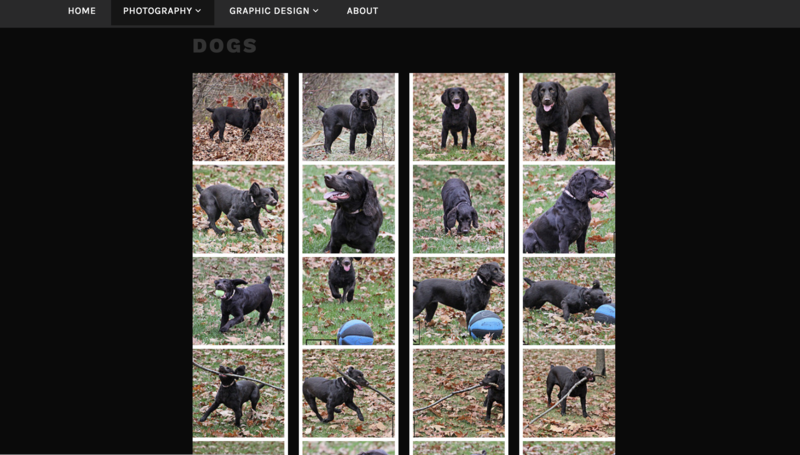 Though not always on her own domain she has set up several other blogs and portfolio’s. 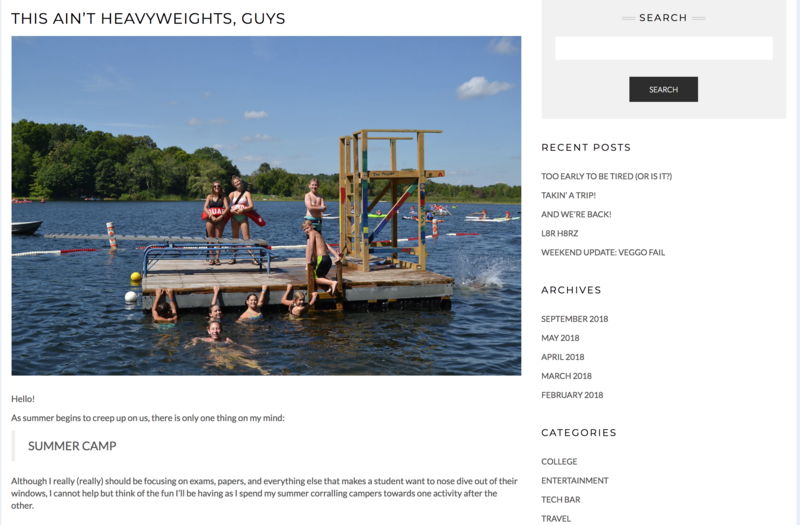 This site gathers all of those sites together into one place to showcase her many sites. 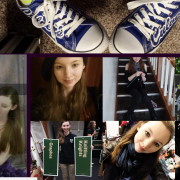 On this page you can learn about the technical details of her site, see screenshots of the site, and hear from Natasha about her experience with blogging and owning her own domain. 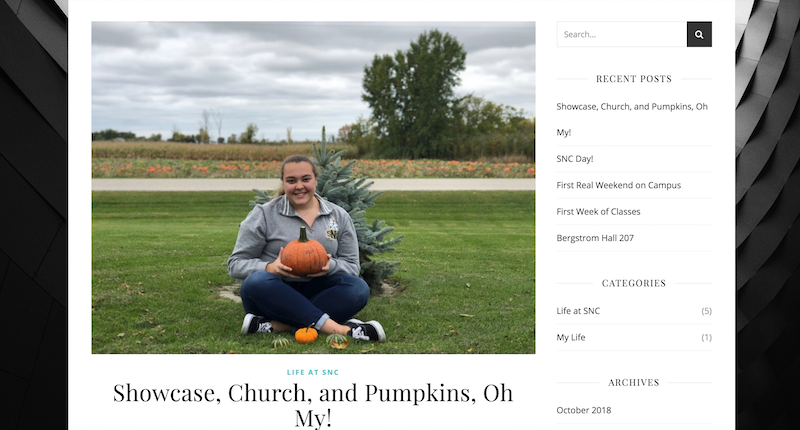 This example comes from Ingrid Timm who is using a blog to chronicle her experiences at St. Norbert College including her travels abroad and her work at the Tech Bar. 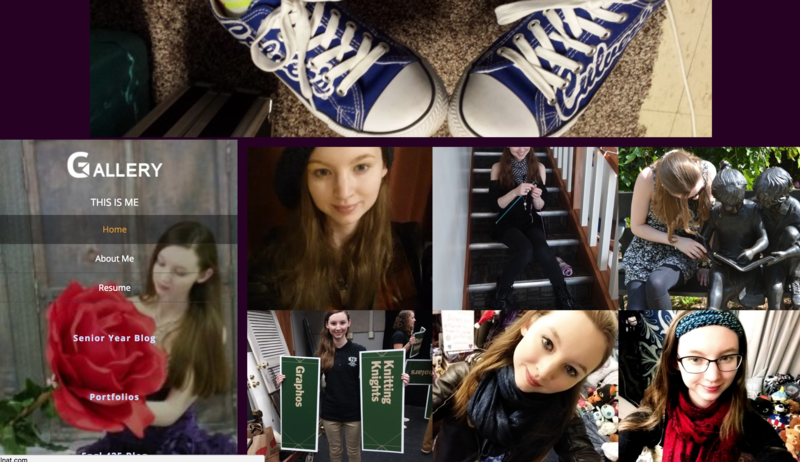 You can visit Ingrid’s live site in another window. 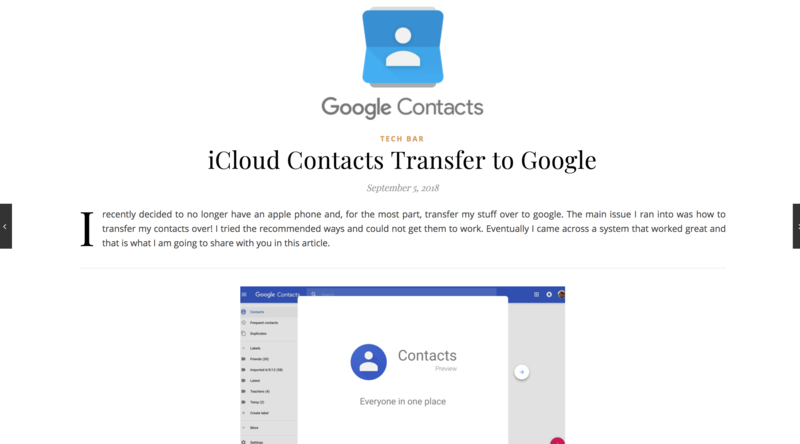 Here, you can see screenshots from the site, learn about all the technical details of the site, and hear from Ingrid about her domain in her own words. 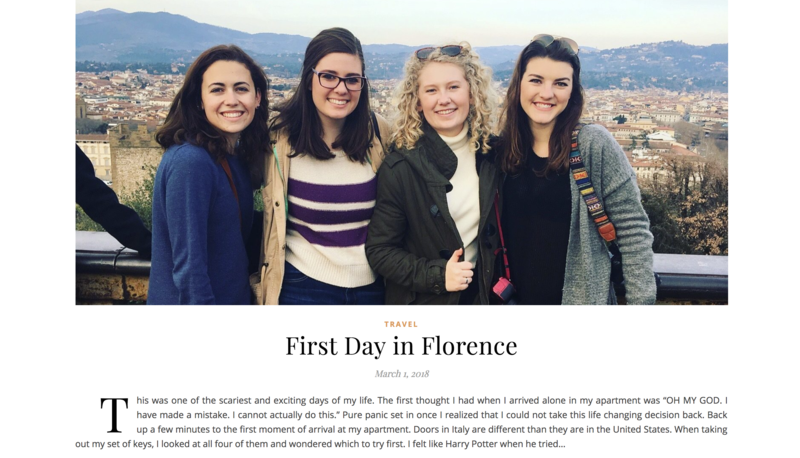 This example of a Knight Domains project is from Erica Kalberer. 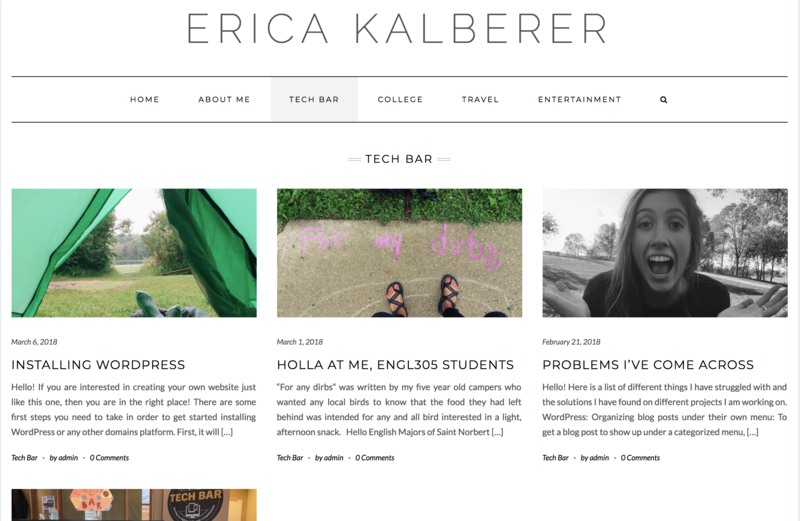 Erica is blogging about her college experience at St. Norbert including her work at the Tech Bar. 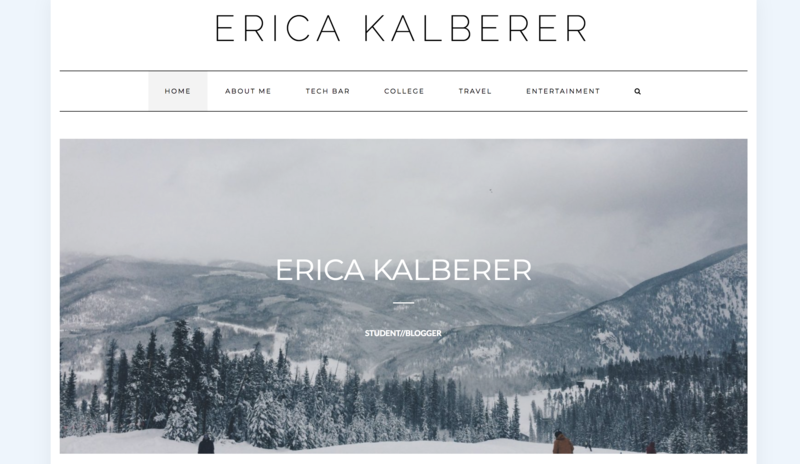 On this page you can learn about the technical details of her site, see screenshots of the site, and hear from Erica about her experience with blogging and owning her own domain. 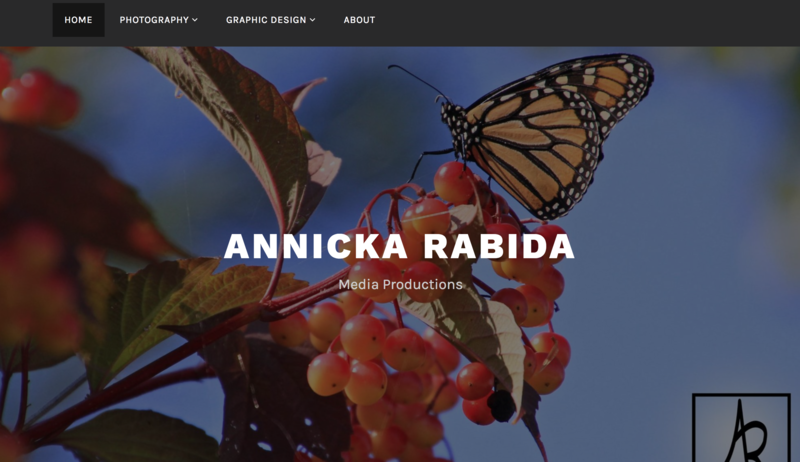 This Knight Domains example is from Annicka Rabida. 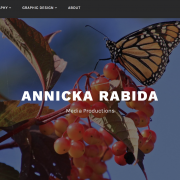 Annicka is creating a portfolio to highlight her skills as a producer of different kinds of media. 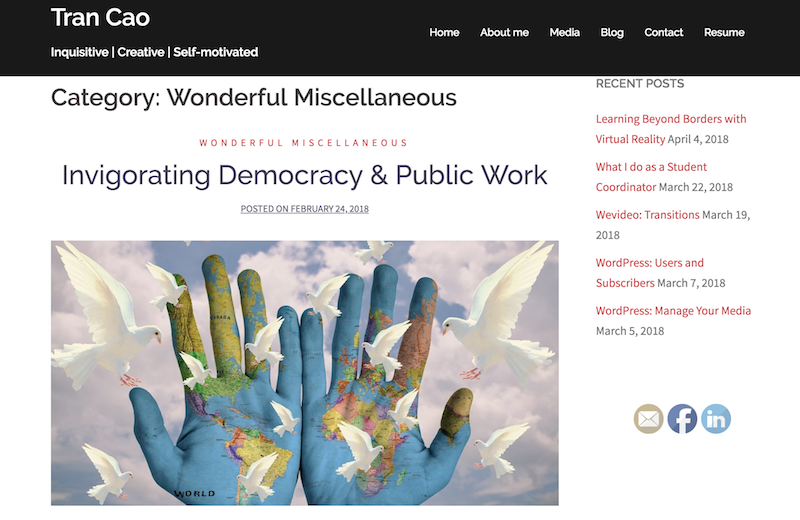 On this page you can learn about the technical details of her site, see screenshots of the site, and hear from Annicka about her experience with blogging and owning her own domain.